Kompot is a traditional drink in Central and Eastern European countries, especially Bulgaria, Poland, Lithuania, Ukraine, Russia and Bosnia (where it has been a tradition since Ottoman times). 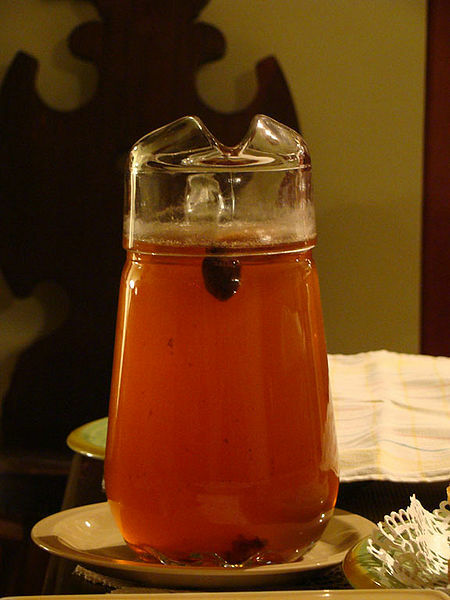 It is a light, refreshing drink most often made of dried fruit (raisins, prunes, apricots, etc.) boiled in water with sugar and left to cool and infuse.